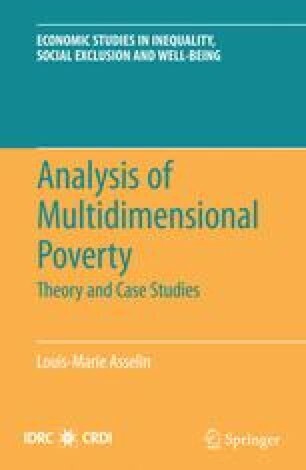 Multidimensional poverty is a complex concept. It is important to explore its philosophical and ethical roots (Section 1 and Appendix A), because methodological choices at crucial steps of measurement rely on values. The first concrete form of the concept is a vector of K primary indicators, K > 1, with a different structure for each application. The poverty vector structure is described in Section 2 through the notions of poverty dimension and subdimension, poverty type, pure and extended indicator, and poverty by inclusion with endogenous and exogenous transmission. Tools like the Poverty Concept Structure are designed to visualize and compare these conceptual structures and highlight implicit weighting at the very beginning of the measurement operation. These tools are applied to real and well-known poverty vectors (Section 2.3 and Appendix B).